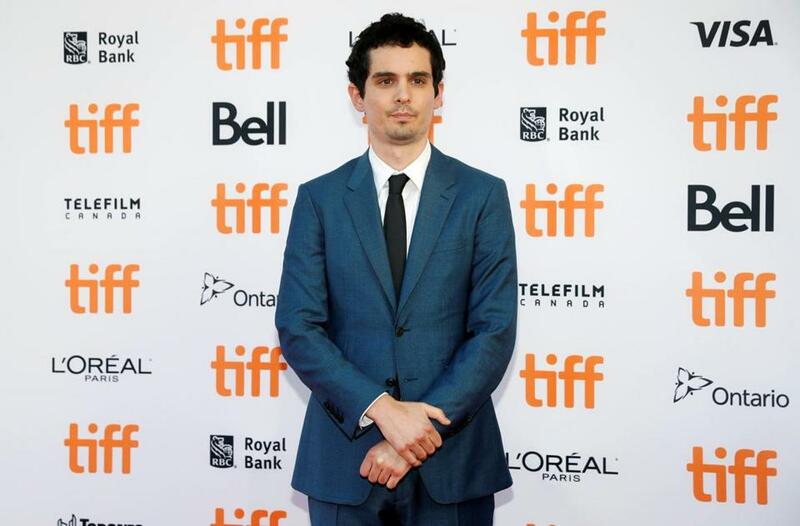 Director Damien Chazelle arrives on the red carpet for the film "La La Land" at the 41st Toronto International Film Festival. Damien Chazelle, the Providence-born, Harvard-educated, writer-director of the already-beloved musical “La La Land,” says the first drafts of the screenplay had the film set in Boston. During an interview after the movie’s premiere at the Toronto International Film Festival, Chazelle told us that “La La Land” was a local love story until he was influenced by his move to the West Coast. Initially, for example, a “La La Land” scene that takes place at LA’s Griffith Observatory was set at Boston’s Museum of Science. But don’t be too heartbroken that the film isn’t set here. Chazelle’s first film, “Guy and Madeline on a Park Bench,” was set in Boston. (You can watch “Guy and Madeline” — a hit at the Tribeca Film Festival in 2009 — on Netflix.) Chazelle, whose last film was “Whiplash,” walked the red carpet in Toronto with “La La Land” stars Ryan Gosling and Emma Stone. His next project is a biopic of astronaut Neil Armstrong.